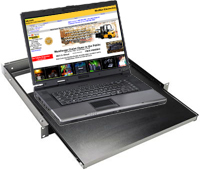 Chicago DJ Equipment Online Superstore - RACK CASE ACCESSORIES AT THE LOWEST PRICES! 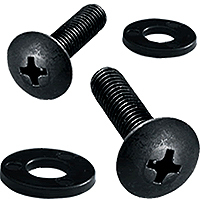 Bag of black rack screws with washers, available in both 25 and 50 count. 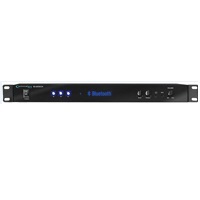 Rack Mountable Bluetooth® Audio Receiver. Bluetooth® compatibility allows for wireless connection to any A2DP stereo Bluetooth device including laptops, cell phones and MP3 Players. This 3-mode multi-functional 48-point balanced patchbay with fully balanced, high-quality ¼" TRS connectors will be a welcome addition to every set-up. 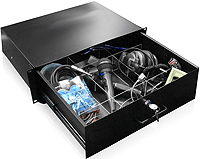 Quickly add extra space to your rack with this drawer that slides out for use, and slides back in for storage.. Easily visible color coded Serato shortcut key layout for both left and right CD/turntable deck. 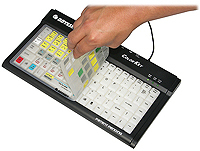 7 Color LED backlit keys are great for visibility in any dark environments. 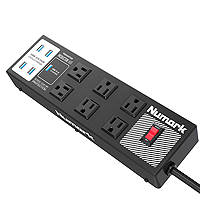 Connect up to 3 additional USB devices. PC & Mac compatible. 7 Color back LED lit keys great for visibility in any dark club environment. Set your color preference or choose from two built-in color changing modes. Connect up to 3 additional USB devices. Compact color changin LED backlight keyboard kit with USB 3 port hub and control skin. 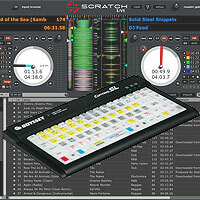 Shortcut keyboard for Serato and Traktor Scratch softwares. Made for the Color Key keyboard. Ultra quiet single fan pumps out 108 cubic feet per minute of heated air. Ultra quiet double fan pumps out 216 cubic feet per minute of heated air. Ultra quiet triple fan pumps out 324 cubic feet per minute of heated air. Ultra quiet fan pumps out 432 cubic feet per minute of heated air. Four cooler master 80mm ball bearing case fan. The Unit Has Sensors To Check Any Part Temperature. Ideal for lighting up dj gear, mixing boards or sheet music stands. Light comes equipped with two flexible, easy to position goosenecks to cover a large area. Our LED202R Clip-On LED Light features two adjustable High Intensity Red LED Lights, ideal for night vision, which allows you to light the work/performing area without affecting the stage lighting. 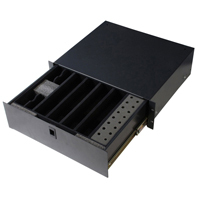 19'' rack mountable Build-in dimmer Heavy duty steel construction. Light your rack for better visibility in a dark environment. 7 color settings / 30 display modes. Separate color sequence and speed adjustment buttons. This sturdy unit mounts conveniently into one 19" rack space providing light from two gooseneck incandescent bulbs. A dimmer switch on the front panel allows you to easily adjust the light to exactly the amount desired. 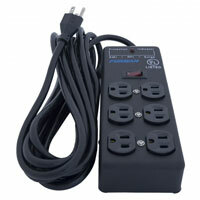 8 grounded outlets on rear panel (15 amp). Designed to set in an amp rack to view your decibel level. Creates a great light show in your amp rack. Light your rack for better visibility in a dark environment. The PSB9 fits into any standard rack your mobile rack OR your studio racks..
1U Rack Mount Power Supply. 10 Grounded outlets! 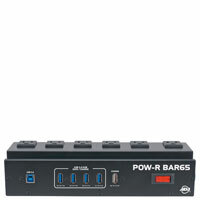 Integrated 4-port USB 3.0 hub - connect external hard drives, bus-powered controllers and other USB peripherals. The Furman M-8X Power Conditioner is the perfect low-cost AC power solution for any rackmount system. The Furman M-8LX Power Conditioner is the perfect low-cost AC power solution for any rackmount audiosystem. The Furman Merit Series M-8DX Power Conditioner is the perfect low-cost AC power solution for any rackmount audio system. 2-Space Economy Drawer. Perfect for anything from pens, papers or strings to cassettes, CDs or important tools. Fully enclosed construction. Perfect for the traveling musician! Heavy duty sliding rack drawer available in 2,3 or 4 spaces. New cabinet grade 14" full extension sliders provide smooth action. New features include larger flush mount latch and 13 gauge drawer front. Black textured enamel finish. 4-Space Economy Drawer. Perfect for anything from pens, papers or strings to cassettes, CDs or important tools. Fully enclosed construction. 3-Space heavy-duty sliding rack drawers feature ball bearing sliders, a 14-inch extension and flush mount. New cabinet grade 14" full extension sliders provide smooth action. New features include larger flush mount latch and 13 gauge drawer front. Black textured enamel finish. Installed lock pictured is optional. Twin Auto-Reverse System: One transport both records and plays, the other is for playback only. Silent Mechanisms driven by exclusive motor actuators. Twin Auto-Reverse System: One transport both records and plays, the other is for playback only. Pitch Control on Deck A. Cassette-Shell Stabilizers and Large Insulators for reduced acoustic modulation noise. CD\ CDR\ CDRW\ VCD compatible. Pal NTSC Switchable. Cassette Player w\ Record Function.